Hola creatives! October 2013 Giveaway is here! 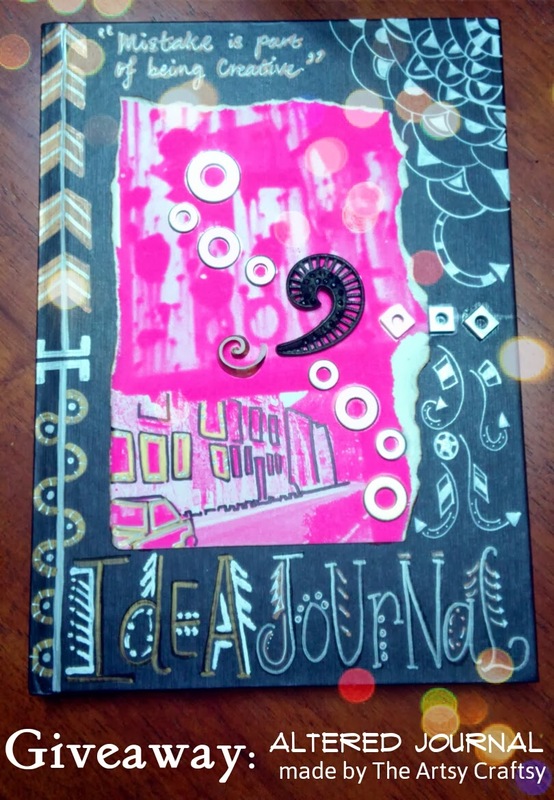 Featuring, an Altered Idea Journal and cover hand drawn & altered by The Artsy Craftsy. 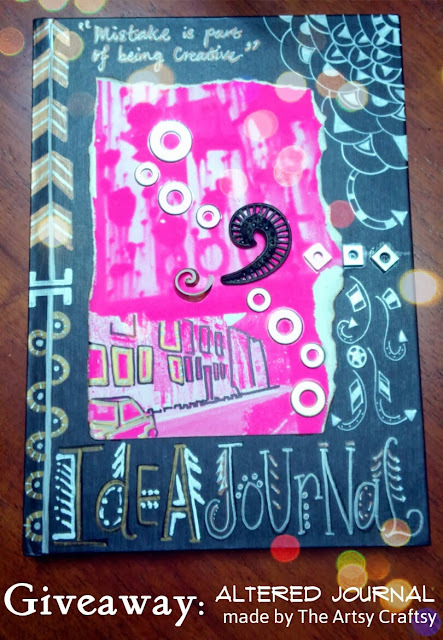 The Idea Journal comes with blank pages ready for you to start recording your creative soulful ideas and thoughts. Only one (1) copy up for grab! 2. Comment WHY & WHAT you love about The Artsy Craftsy blog. Please include your email address too.